​ReliabilityFirst is a nonprofit playing a major role in lowering the risk of electrical blackouts and working to prepare for the challenges facing consumers and the energy markets should a blackout occur. Our footprint includes 13 states and the District of Columbia. Our interns work on meaningful projects, and gain insight into ReliabilityFirst’s role and responsibility to improve the reliability and security of the bulk power system. 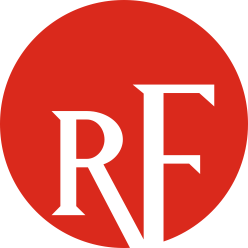 As a member of the ReliabilityFirst team, you wil work alongside industry experts, including seasoned power system engineers, attorneys, and cyber security professionals. "The Buddy System": From day one, you will be paired with a "buddy". This person will provide guidance on how to best utilize our company resources, how to act in a professional setting, and how to navigate through difficult assignments. Assignments will vary based on your degree. The experience you gain will expand your knowledge in your degree field. You will gain knowledge of compliance and regulation of the bulk electrical system. Every intern will have a final project to present at the end of the internship. Our internship program is applicable to college sophomores, juniors, seniors, and graduate students. Students must be in good academic standing to be eligible to become a ReliabilityFirst intern. If you have any questions about our internship program, please contact Wendy Weaver, Manager of Human Resources.